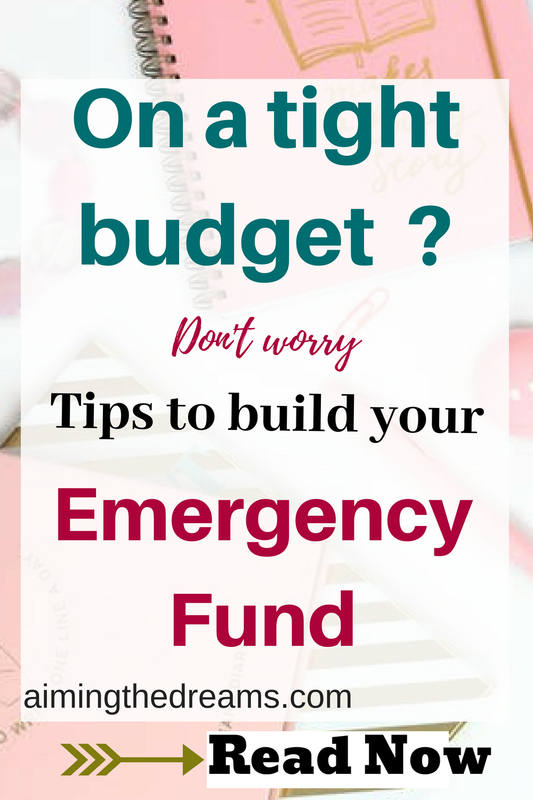 Building an emergency fund is necessity not a luxury which you can avoid. In an era of shrinking jobs, emergency fund is not a choice. And it was never as important as it is now. Few years ago, I didn’t knew what is an emergency fund. We all know that we have to save money but that money could be used whenever you feel like. I knew some families who kept money for their children’s marriage, for education and then their retirement funds. But when the time came . that money was not enough. I have seen my family going through all this. My mother was a great saver but my father was not. I learned to be very conservative about the money from my mother. It is the time to become conservative in regards to money. The way our parents were. They were not the product of consumerism but rather very conservative.They tried to save money from everywhere. Two most important things in personal finance which we shy from are emergency fund and budgeting. I am saying this from my personal experience. Till now, I thought of having emergency fund. But never tried to build it. But after having my little one, it is the most important thing. You should have emergency fund for sure. Now I want to have a good emergency fund as well as a big retirement fund. I am working on both by saving whatever I am getting from my side income. And it is building up. I always share my ideas about what I am doing myself. Still I have to convince my other half to understand the importance of retirement and emergency fund. 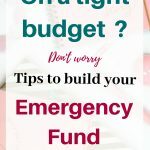 Here are some tips to build your emergency fund. Everything is so expensive that squeezing money to save have become a daunting task. Saving for emergency fund which could be used for legitimate emergency is like climbing a mountain. Here are some of my simple tips I myself work on me to squeeze money from wherever I can to save. It all depends on your lifestyle. And how much you want to survive for a single month. You need emergency find equals to the salary of 3 months. If say you are living on 3000 dollars a month, you will need atleast 9000 dollars in your emergency fund. If you want more to live comfortably, you will need to save more. And simultaneously if you can live on less, you will need less. This fund should be for legitimate emergencies only. Not for buying things. This is from where I squeeze money for my saving. Instead of choosing branded products, I have started buying home brands from supermarkets. It saves good money in grocery shopping. It matters even if you can save 50 dollars a month for your emergency fund. At the end of the year you will have 600 dollars in your savings. Doing surveys in your free time will not make you rich but you can make some money to put into your saving account. I am going with this route. I don’t have lot of time to spend on surveys but I always do them while working in the kitchen. And believe me , in past 2 months I have got almost 150 dollars. This is from several survey sites. Because I feel motivated to do surveys until I have got enough points to cash out. And whatever you earn is just extra from your income which you need to spend to maintain your lifestyle. Here our main motive is to build emergency fund as quickly as possible. So look for ways to save money from everywhere. A very good option is to look for extra stuff in your house which you can sell and get instant money. Make a list for whatever you have and can be sold for a good money, Go for it. Facebook and gumtree are good places to sell furniture and toys locally. It can earn you good money. Immediately put it into your emergency fund. Now building an emergency fund is all you have to think. This way you need to do some extra work but you don’t need to cut on your lifestyle activities. As woman, I can understand how important buying a piece of cloth becomes for us ( I don’t know about men). And please don’t talk about the jewellery. When you go past a clothing store or jewellery store, your eyes get just fixed on a beautiful piece. When we look at the price, it doesn’t look affordable. Then you start browsing the store and settles on some less expensive thing. This could have been avoided. Because you didn’t needed that but just wanted. There is nothing wrong with that but your most important task on hand is to build emergency fund. For sometime, keep your wants in a corner and only work on our needs. If your employer provides you with the option of overtime, go for it. And try to do more overtime. Work hard and smart thinking that it is a short term goal. Once you will have your emergency fund, you can relax and enjoy the things which you sacrificed. But having emergency fund is like a cushion to your mental health also/ You will have peace of mind.Your mind will be relaxed because you know if you have to face a real emergency, you can. Everybody has some kind of hobby or skill which can be used to make money. Why not work on it. Pay attention to it and make your skill a business for you. Start any side hustle which can provide you some income to grow your saving funds. Having emergency fund is crucial for facing emergencies and it gives you peace of mind. This post is only for information purpose. I feel like these tips are working on me so you may get some inspiration to save money. Otherwise I am not a professional. Please share this post with your friends and on social media. 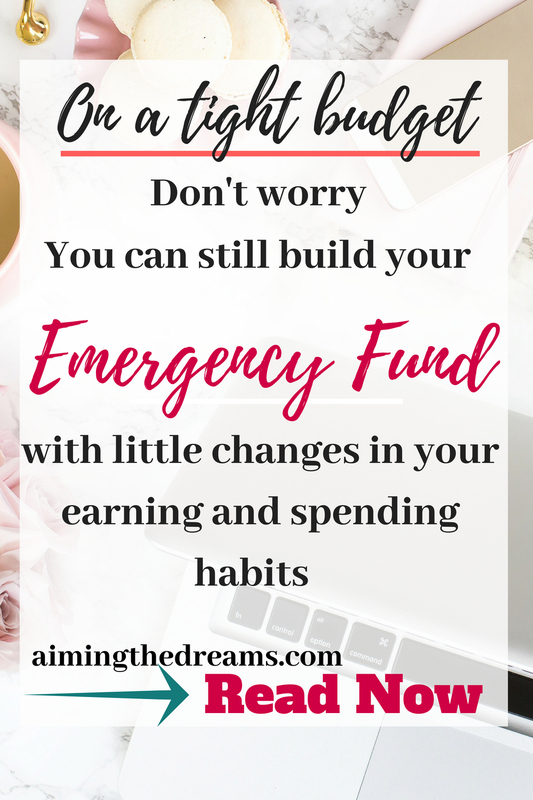 Also comment below and tell me how you are building your emergency fund.